The Oriental Institute has had a long history of research in ancient Nubia.Oriental Institute Founder, James Henry Breasted traveled to southern Egypt and northern Sudan in 1905-07, to document ancient Egyptian and Nubian monuments. A selection of the Breasted Expedition photographs was exhibited in the Oriental Institute Museum in 2006. In addition to this early work by our founder, between 1960 and 1968 the Oriental Institute participated in the international archaeological campaign organized by UNESCO in the areas threatened by the construction of the Aswan High Dam. Nine volumes of final reports have been published. The Robert F. Picken Family Nubia Gallery, which opened in 2006, displays some of the approximately 15,000 objects brought back to the Oriental Institute as a result of the work in the 1960s. The return of the Oriental Institute to Nubia began in 2006 with a preliminary reconnaissance trip to evaluate the possibility of participating in an archaeological salvage project in Sudan. The Merowe Dam Project at the 4th Cataract of the Nile, upon its completion in 2008, flooded an area of approximately 100 miles in the Nile Valley. Between January and March 2007, the Oriental Institute joined international teams in the 4th Cataract region in archaeological investigation of the area, an area that had, prior to the salvage project, received virtually no attention. Oriental Institute excavations in the 4th Cataract were supported by the Packard Humanities Institute and National Geographic. 1987 Exhibition Brochure - NUBIA "Its glory and its people"
The Oriental Institute participated in the UNESCO international salvage excavation project in the reservoir area of the Aswan High Dam in Upper Egypt in 1960-64. The project was directed by Keith Seele, Professor of Egyptology at the Institute. The expedition was based on the former Cook tourist boat "Fostat", accompanied by another houseboat, the "Barbara", a tug boat, and a motor launch, all purchased and modified to provide mobile housing, laboratories and storage space. In the first season the project produced an epigraphic record of the Beit El-Wali Temple, near the High Dam. In subsequent seasons the expedition moved its little fleet up the Nile to a new concession between the temples at Abu Simbel and the border of the Sudanese Republic. Excavations were conducted in a monastery, at habitation sites, and in a number of cemeteries extending for miles along both banks of the Nile. These excavations contributed information on every period of Egyptian Nubia from the Old Kingdom through Coptic times. After the death of Professor Seele in 1971, the Institute initiated a project to complete the publication of the results of the Egyptian Nubia excavations. 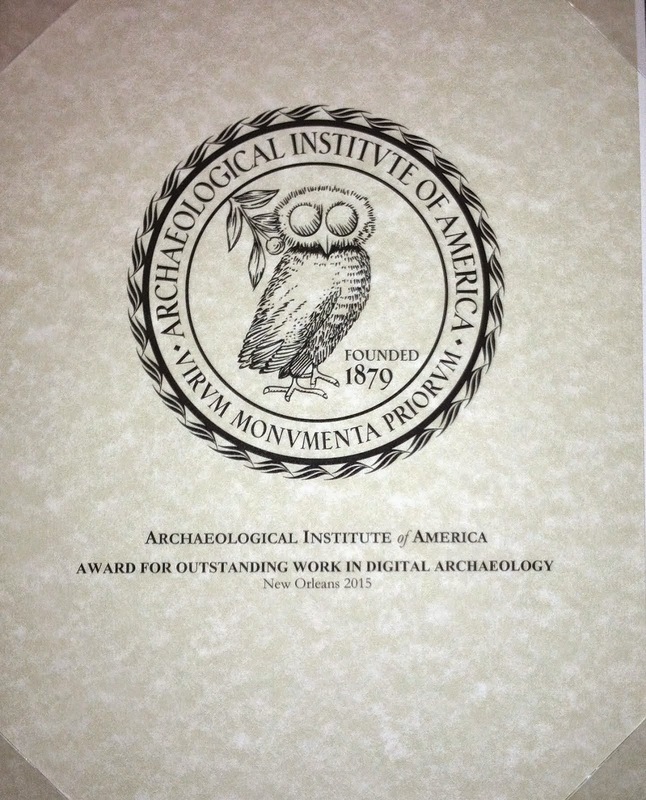 The publication project was entrusted to Bruce Williams, Ph.D., a graduate of the University of Chicago in Egyptology. The first two volumes were published before Williams was assigned to the project. Since then Williams has completed eight monumental monographs (1986-93) that will stand as the fundamental sources for the archaeology and history of Egyptian Nubia. Williams is currently working on two additional volumes. Another two volumes are also in preparation by collaborators, including one Ph.D. dissertation. Williams has devoted his entire academic career to the Nubia publications. His dedication is admirable and the Institute takes pride in the fact that the Nubia publication project is near completion. Because the Nubian expedition was a part of the UNESCO salvage project, the Egyptian Government granted export license for a large collection of objects recovered by the expedition. These artifacts are now a part of the perminent collection of the Institute and will serve as a valuable resource for generations of scholars as new questions are raised and new techniques of analysis are introduced. Two museum exhibitions of Nubian materials from the collection have been mounted; one of magnificent textiles at the Art Institute, and a fine educational exhibition in the Oriental Institute Museum. The exhibit in our museum, Vanished Kingdoms of the Nile: The Recovery of Ancient Nubia, attracted many enthuiastic new visitors to the museum and received a "Superior Achievement" award from the Congress of Illinois Historical Societies and Museums in 1992, as well as considerable press coverage, including a favorable review in the New York Times. OINE 10. Excavations at Serra East, Parts 1-5: A-Group, C-Group, Pan Grave, New Kingdom, and X-Group Remains from Cemeteries A-G and Rock Shelters. By B. B. Williams. Originally published in 1993. OINE 9. Excavations Between Abu Simbel and the Sudan Frontier, Part 9: Noubadian X-Group Remains from Royal Complexes in Cemeteries Q and 219 and Private Cemeteries Q, R, V, W, B, J, and M at Qustul and Ballana. By B. B. Williams. Originally published in 1991. OINE 8. Excavations Between Abu Simbel and the Sudan Frontier, Part 8: Meroitic Remains from Qustul Cemetery Q, Ballana Cemetery B, and a Ballana Settlement. By B. B. Williams, et. al. Originally published in 1991. OINE 7. Excavations Between Abu Simbel and the Sudan Frontier, Part 7: Twenty-Fifth Dynasty and Napatan Remains at Qustul Cemeteries W and V. By B. B. Williams. Originally published in 1990. OINE 6. Excavations Between Abu Simbel and the Sudan Frontier, Part 6: New Kingdom Remains from Cemeteries R, V, S, and W at Qustul and Cemetery K at Adindan. Bruce B. Williams. 1992. OINE 5. Excavations Between Abu Simbel and the Sudan Frontier, Part 5: C-Group, Pan Grave, and Kerma Remains at Adindan Cemeteries T, K, U, and J. By B. B. Williams. Originally published in 1983. OINE 4. Excavations Between Abu Simbel and the Sudan Frontier, Parts 2, 3, and 4: Neolithic, A-Group, and Post A-Group Remains from Cemeteries W, V, S, Q, T, and a Cave East of Cemetery K. By B. B. Williams. Originally published in 1989. OINE 3. Excavations Between Abu Simbel and the Sudan Frontier, Part 1: The A-Group Royal Cemetery at Qustul, Cemetery L. By B. B. Williams. Originally published in 1986. OINE 2. Ausgrabungen von Khor-Dehmit bis Bet El-Wali. H. Ricke. Originally published in 1967. OINE 1. The Beit el-Wali Temple of Ramesses II. By Herbert Ricke, George R. Hughes, and Edward F. Wente. Originally published in 1967. OIMP 24. Lost Nubia: A Centennial Exhibit of Photographs from the 1905-1907 Egyptian Expedition of the University of Chicago. John A. Larson. 2006. Ancient Nubia. Oriental Institute Museum. Originally published in 2006." Ancient Textiles from Nubia: Meroitic, X-Group, and Christian Fabrics from Ballana and Qustul. Christa C. Mayer Thurman and Bruce Williams. Originally published in 1979.